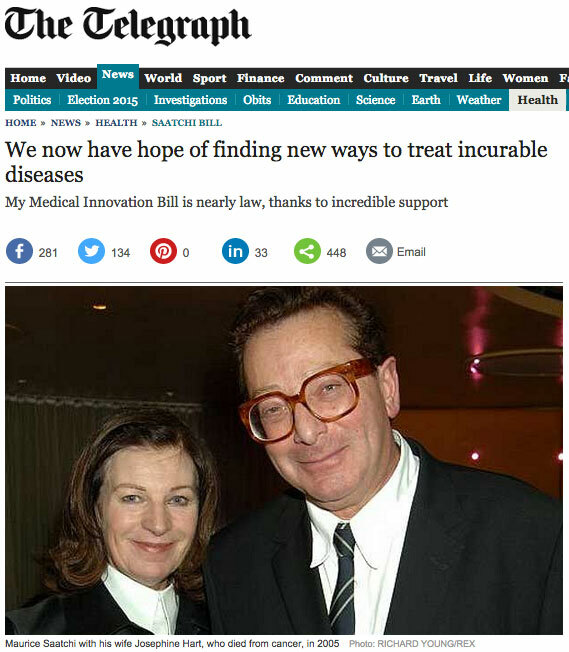 On Friday 12th December 2014 the House of Lords report stage for the Medical Innovation Bill took place. The Bill has now moved through to a third reading stage. Lord Saatchi (Con): Before I start, I will take a moment to echo what the noble and learned Lord, Lord Woolf, said. He described the discussions about the Bill at all its stages as being your Lordships’ House at its best. I so agree. I said in the debate in the Moses Room last week in the name of the noble Lord, Lord Kakkar, that the experience of watching your Lordships’ House debate and discuss the Bill is, as far as I am concerned, a tremendous privilege to be able to hear the greatest legal and medical minds in the country at work. I thank the noble Lord, Lord Turnberg, for saying that there had been a constructive process of listening to Peers’ views as expressed in Committee. I am also grateful for the view expressed by the noble Baroness, Lady Wheeler, that the Bill team and the Department of Health have behaved constructively since Committee. I have really been only a witness to the toing and froing between Peers whose views were expressed in Committee and the Department of Health through our own Bill team. It will not come as any surprise to your Lordships that this has been a really admirable process of the officials and the legislation department in the Department of Health listening carefully and trying to respond, and I certainly have appreciated that hugely. I know your Lordships will agree. I also thank my noble friend the Minister for her clarification of the Government’s position on many of these amendments. Baroness Wheeler (Lab): My Lords, as this is the first contribution from the Front Bench to the discussion of today’s amendments, perhaps I may again place on the record our support for the key principles and intent of the Bill. As we stress, Labour has always strongly supported efforts to bring innovative treatments to patients faster, and we underline the need for a major effort by government to address the barriers and bureaucracy that prevent progress being made and ensure that innovations are rapidly transcribed into practice. The noble Lord, Lord Kakkar, recently held a short debate in the Moses Room on the impact of innovation and research strategies on health improvement. It provided an excellent overview of the key issues, the progress being made, and the problems still to be addressed. We are keen to ensure that the Bill of the noble Lord, Lord Saatchi, is seen in the context of this wider, bigger picture. I know that the noble Lord accepts that his Bill will be one measure in the broader landscape of what needs to be done. Along with my noble friend Lord Turnberg, I am also grateful to the noble Lord for the efforts he has made to address the issues and concerns raised by noble Lords across the House. In Committee we underlined our broad support for the changes—the “Sir Bruce Keogh amendments”, as they are now known—which have been made to ensure patient safety and safeguarding. We also found the round-table discussions for Peers that were organised by the noble Lord following our suggestions in Committee very valuable and useful. Again, we are broadly supportive of the new amendments he has brought forward today, which are the result of the discussions, on emergency care, on the recording of key information in the notes of the patient receiving the treatment, on excluding cosmetic surgery from the scope of the Bill, and on ensuring the preservation of the existing law about clinical trials and other forms of research. Lord Woolf (CB): The progress of the Bill has been a remarkable example of this House at its very best. The Bill has been very carefully scrutinised by people who have immense knowledge of the areas covered in the Bill. That does not mean that anything said by a particular Member of the House with undoubted expertise in this area is necessarily right in this matter. As is the case with many Bills, sometimes more than one profession can be involved. I suggest that this is an example where two professions, which in the past have been guilty at times of excessive conservatism, are involved and have been loud in some of the things that they have had to say. The other profession of which I am thinking is my own; lawyers are not always celebrated for their innovative approach. They have improved from the situation of not so long ago. They are more ready to accept change—indeed, they have been forced to accept it—than they willingly would have done in the early days when I was practising. I have been criticised in letters I have received in a way in which I perhaps am not accustomed for my involvement in the Bill sponsored by the noble Lord, Lord Saatchi. Those who have asked me to identify cases by name and reference so that they can analyse the cases and show how they do not help any particular argument might be relieved to hear me say that if they want to know where I come from, I wrote a little book called The Pursuit of Justice. I focused on the medical profession at that time because I found that its conservatism was interfering with the pursuit of justice. As far as victims were concerned, one of the most difficult areas of litigation in this country was clinical negligence cases. Both sides in those cases were put into great difficulty because of that conservatism. On one side were the patients who often wanted the doctors to say sorry. On the other side were the doctors who felt that they could not say sorry because if they did they would be admitting liability for negligence. So the two never met—and that, I am afraid, can happen. I listened very carefully to the graphic examples given by the noble Lord, Lord Winston, of where he thought that the Bill could be a problem. In his first example, he said that there was a difference of opinion between his anaesthetist, who did not think that an unusual and innovative form of intervention was appropriate, and the noble Lord, who thought that it was appropriate in the circumstances. Happily, he took the initiative and acted in an innovative way. But if one pauses and thinks about what would have been the position under the Bill as it is at present, would it have made the situation more difficult or would it have alleviated the situation? 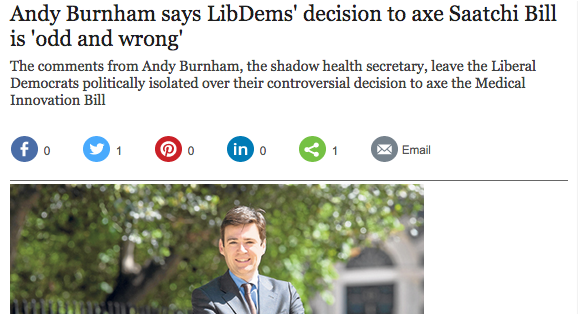 I suggest it is quite clear that it would have done neither. 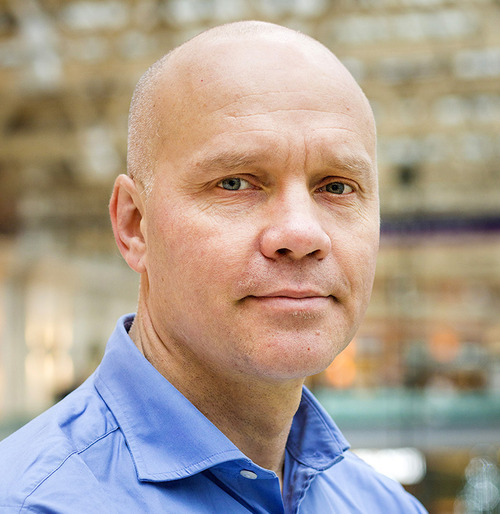 There will never be enough trials – additional innovation is needed I was at a meeting recently with clinical academics, charity chief execs, health regulators, representatives of the pharmaceutical industry – and one lone voice that cut to the heart of the matter. That voice was Debbie Binner, whose teenage daughter had died of a rare bone cancer, Ewing’s Sarcoma. Debbie was the reason we were there. When her daughter, Chloe, died she had just turned 18. A few months short of her 18th birthday, the chance of a drug trial was offered. But Chloe needed to be 18 to be eligible and was refused entry. Our meeting, held in the House of Commons with Paul Burstow MP in the Chair, was to discuss how we, the experts, could ensure that younger people had access to more trials of new therapies for their life-threatening conditions. Many speakers spoke about new ways to reform the regulatory system so that it could work better for young patients. We heard about changes in the EU Clinical Trials Directive that is being enacted in Brussels, that may help. Listening to my colleagues, I was struck by one thought: that if you put people in a room who are expert on a regulatory process they want to make better, but inevitably more rules. What is needed is a feeling that we can work for the patients’ benefit using our established professional values and standards rather than a raft of ever more complex rules. Research does require regulation to introduce new drugs and treatments safely. That is true. But trials cannot be the only answer. There will never be enough trials, they take time and money, there are rarely trials for the less common diseases. So when patients are in a situation with “nowhere else to go” and if there is no trial for which they are eligible, they need to be able to try treatments that might work, based upon the best judgment of their medical advisors. We need to allow them to try such new drugs that may be applicable and collect that experience to inform the next generation of trials. The Saatchi Bill would do this, by protecting individual doctors who try new, licensed but untrialled treatments, on patients who have consented to such treatment outside of a formal trial. This cannot be – and isn’t – a license for the maverick doctor acting alone. 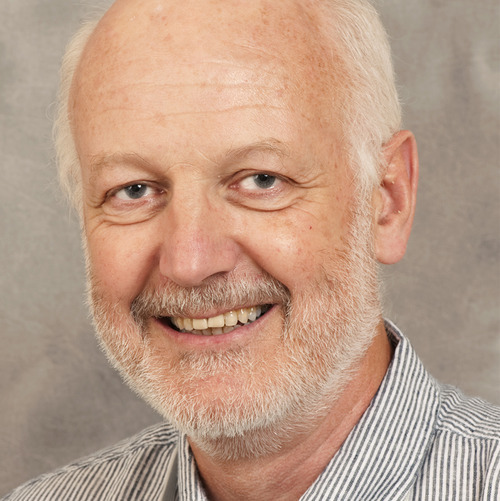 The doctor would also need to share the decision with peers as part of the multi-disciplinary teams that already exist in modern health systems. 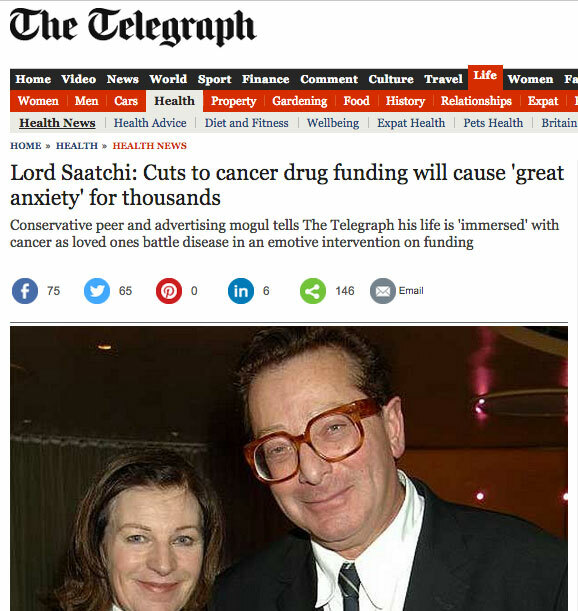 The Saatchi Bill would meet the needs of pharma and academia – but most importantly the patients and their families who need to be given additional choice – and experience the associated hope. If organised with light touch this could offer valuable information to researchers whilst sustaining hope for families that “no stone is being left unturned”. The Saatchi Bill offers a framework where practitioners would be supported in exploring innovative therapies, whilst building evidence of their applicability and effectiveness as part of the process of acquiring the evidence necessary to launch the next generation of trials. This is why I commend the Saatchi initiative. I just sat there looking around the room trying to get my head around it. He said he was surprised I had not been showing symptoms a long time ago as it was one of the biggest he had seen. Must have been growing for around 10 years he said. My train pulled into London Bridge Station that early morning in May 2008. I grabbed my usual coffee and walked to my building. I had a beautiful view over the river and always loved the location I was in. I was 25 and enjoying my life, London is such a beautiful city and I loved being a part of the hustle and bustle of the city. Overnight my life went from independent woman to where am I now. Anxious waiting for results, depending on a number of tablets including seizure medication. I suddenly became a child again and was very dependent on my mum. I decided from the day I heard the words “You have a brain tumour”, this will not beat me and my faith would pull me through and win. I knew things were going to change drastically, I had lost my speech, wordfinding, partially blind, weak on one side, heavily reliant on seizure medication, fatigue are just a few to mention. I wanted to be given a chance to get well. I wanted a chance to try something else rather than straight to surgery. People would say they thought I was very strong and my positivity was inspiring, but the fear I was left with was life destroying. I would never be able to do the job I had before, I would never drive again, I would deal with fatigue for the rest of my life.. however determined you are; medication and brain surgery wears you down. After my own battle to get as much as possible out of my life regardless of my health and disabilities. I knew I wanted to help others. While I sat at home recovering, I set up a support group through Facebook. I was about to meet others who understood. 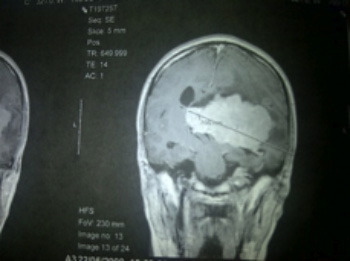 I knew very quickly that I could sympathise with others affected by a brain tumour. 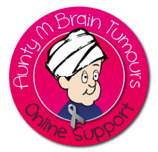 I set up www.auntymbraintumours.co.uk as a place for people to meet others. I have over 15,000 people viewing my social media pages and I can see what people want, don’t want, what their fears are. It is not just for patients with tumours but also for anyone who has been affected by a brain tumour. Join our community and meet people who understand. Join us on Facebook and Twitter I am a presenter on Croydon Radio (online) and host a weekly show dedicated to people affected by a brain tumour. It is there to encourage everyone, it is somewhere they can learn about the issues that can affect them. So that is why I support the Saatchi Bill.